Day seven from Stretch your stamps 2, graphic stamps. I tried to use a graphic stamp for creating a border. I used stamps from Simon Says Stamp. 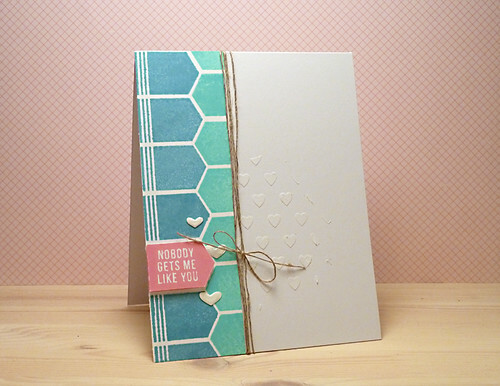 I also used embossing paste with a stencil cut with the Silhouette Cameo. Finally added some twine and hearts coated with enamel accents.